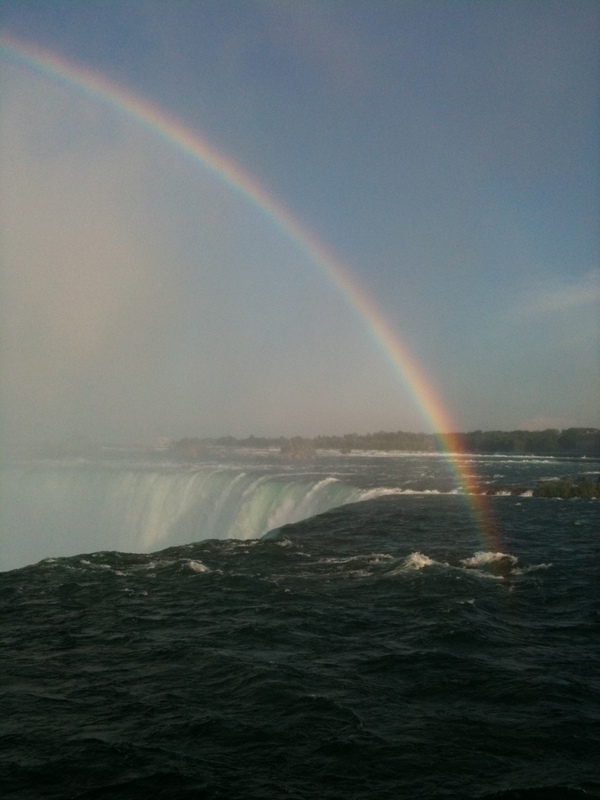 This week I spent some time in Niagara Falls. Having grown up in Canada, outside Ontario, I always KNEW that Niagara Falls was not a desirable place to go – impossibly tacky, commercialized, only visited by foreign tourists, and disappointing. Finally I went there a few years ago, and found that it was – impossibly tacky, commercialized, only visited by foreign tourists, and… more fun than I expected! However my expectations were such that I could hardly be disappointed, and it is still not on my list of 10 (or even 50) favourite places. I was impressed on my first walk in the city when I turned a corner and saw, unexpectedly, a HUGE waterfall right beside the road and walkway. (Yes, I had heard that there was a waterfall in town, but I wasn’t expecting it at that moment.) Who would have thought to build it there, right in the city! 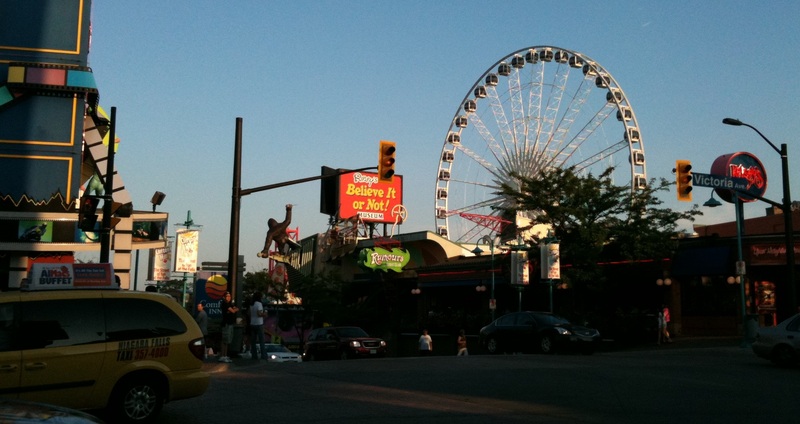 Clifton Hill in the city should not be taken too seriously. If you are feeling in a snobbish mood, skip it and go for a drive through the scenic villages and vineyards, with a stop of two. 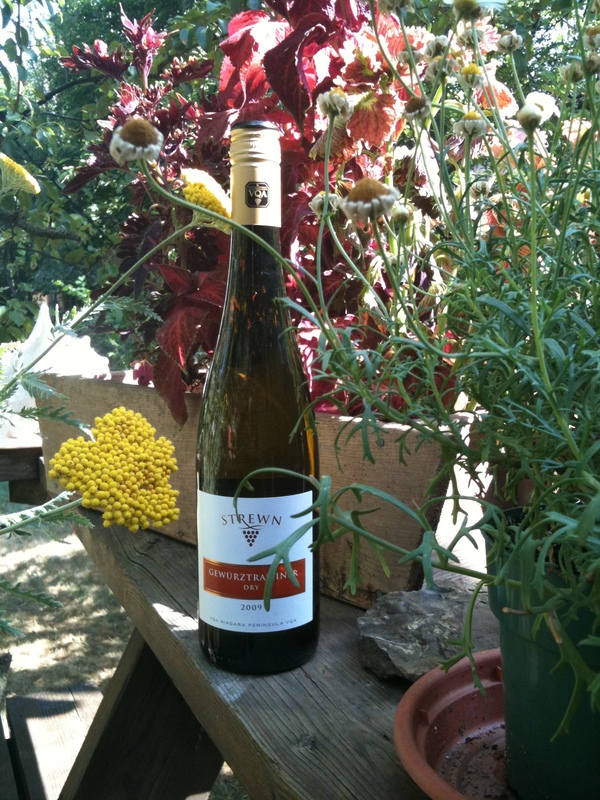 Here’s a bottle from the Strewn Winery, which also has a restaurant and cooking school.